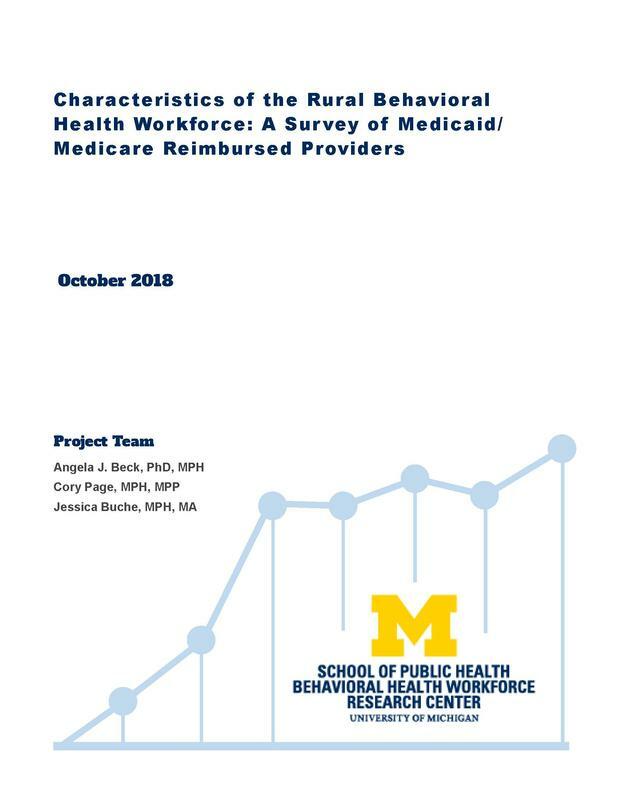 The Behavioral Health Workforce Research Center (BHWRC) conducted a study to better understand the characteristics of the behavioral health workforce in rural areas, the services offered by rural provider organizations, and the barriers these organizations face to providing services. 35 rural of 454 behavioral health provider organizations in the study population completed an online survey, with responses primarily from support staff, behavioral health specialists, case managers, and mental health counselors. These organizations showed signs of not fully integrating behavioral health and primary care services. Policy recommendations include funding more integrated care sites, empowering physician assistants and nurse practitioners to work to their full education/ training, and developing rural America's telehealth infrastructure. Rural areas cover 97% of the United States and contain 19% of the population. Almost 60% of the 5,035 mental health provider shortage areas (HPSAs) designated by HRSA are in rural or partially rural areas. Rural residents are a vulnerable population due to their limited access to behavioral health and higher rates of depression, substance use disorder, and suicide than urban counterparts. This study aims to better characterize the workforce in rural areas, the services they are providing, the organizations they practice within, and the barriers these organizations face in providing care. Read more here.